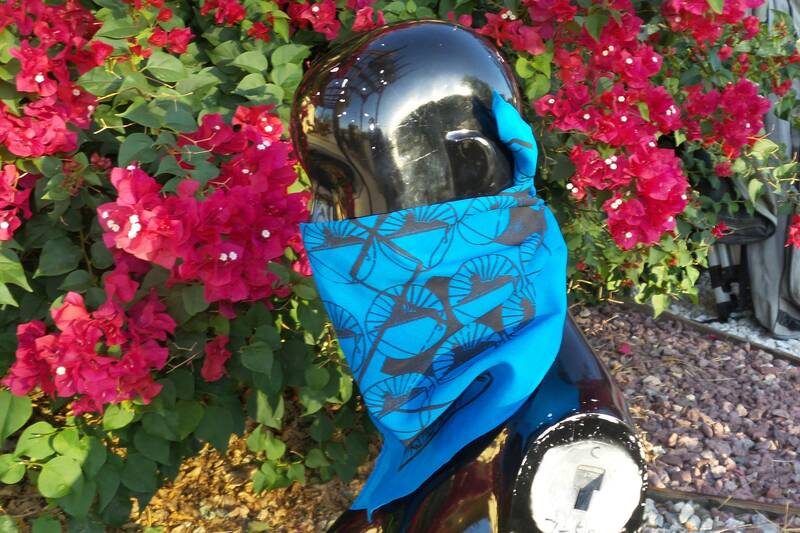 Designed by DBlock, screenprinted by Instant. 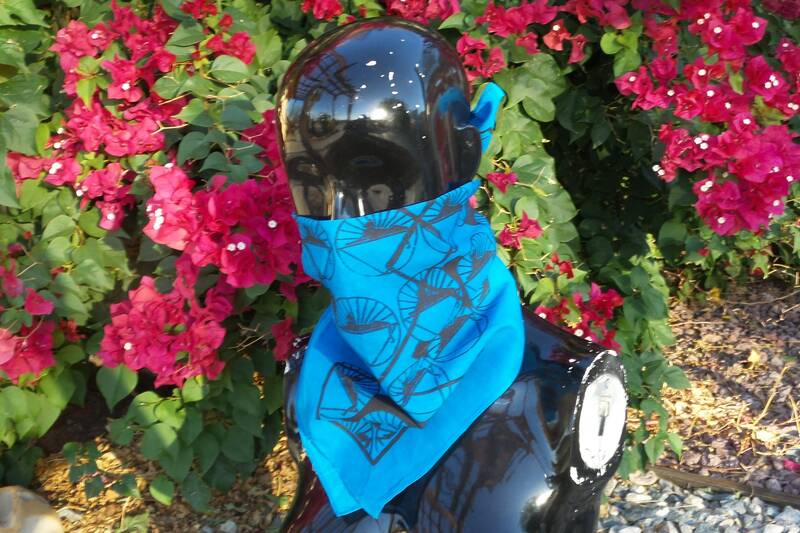 100% cotton bandanna measures 21" x 21". 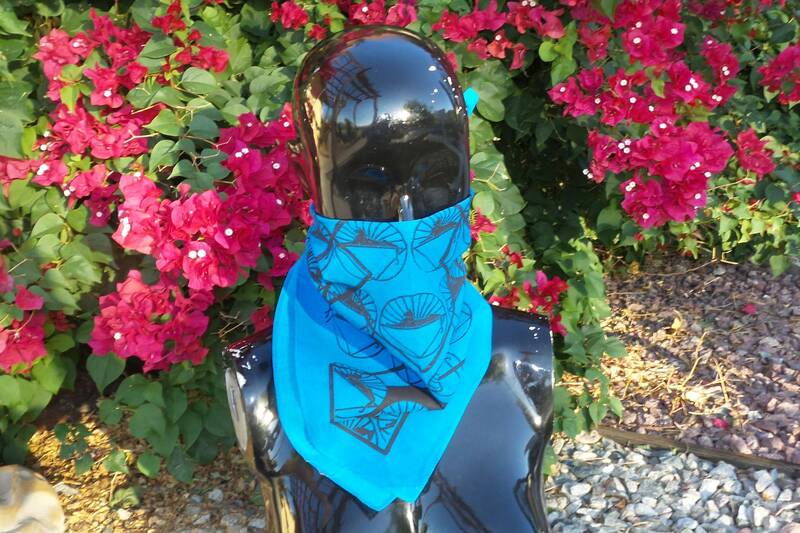 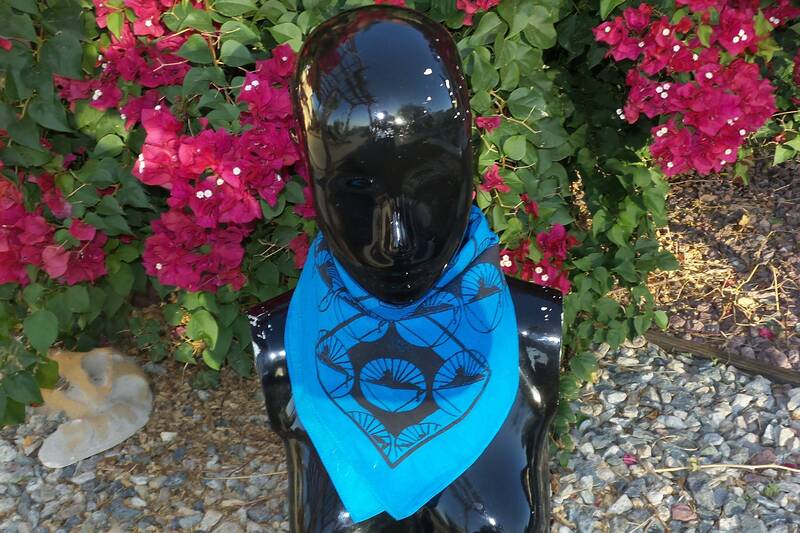 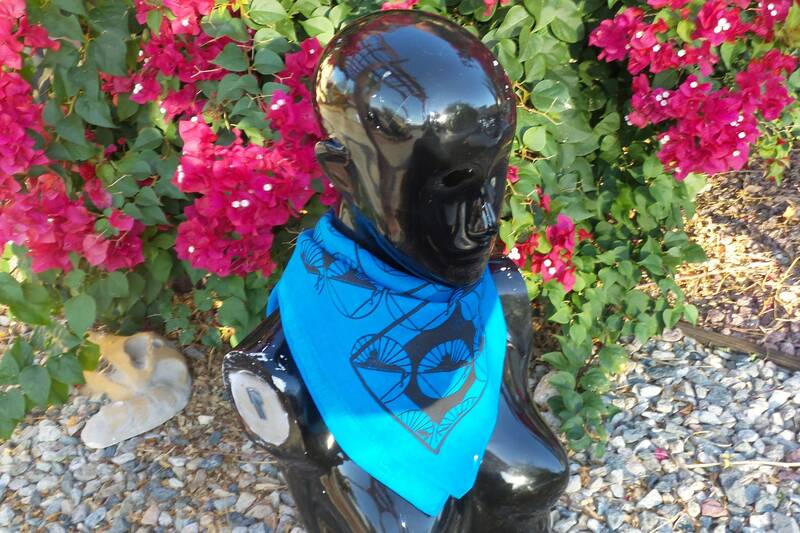 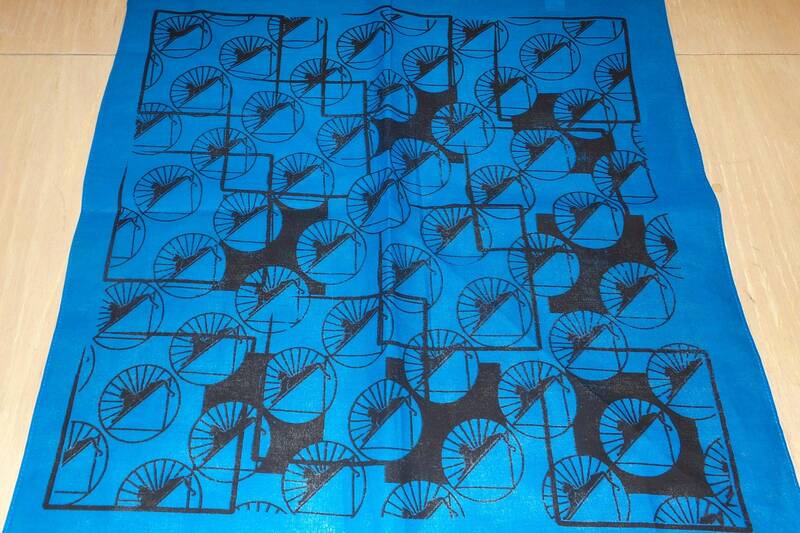 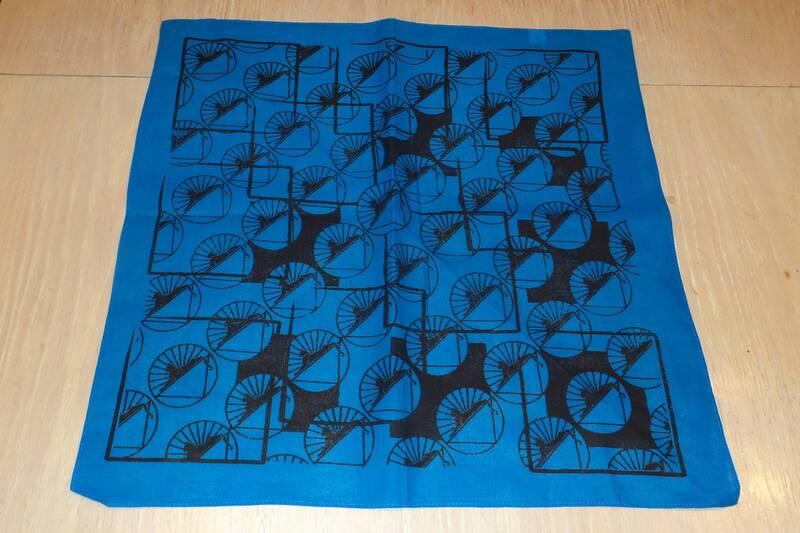 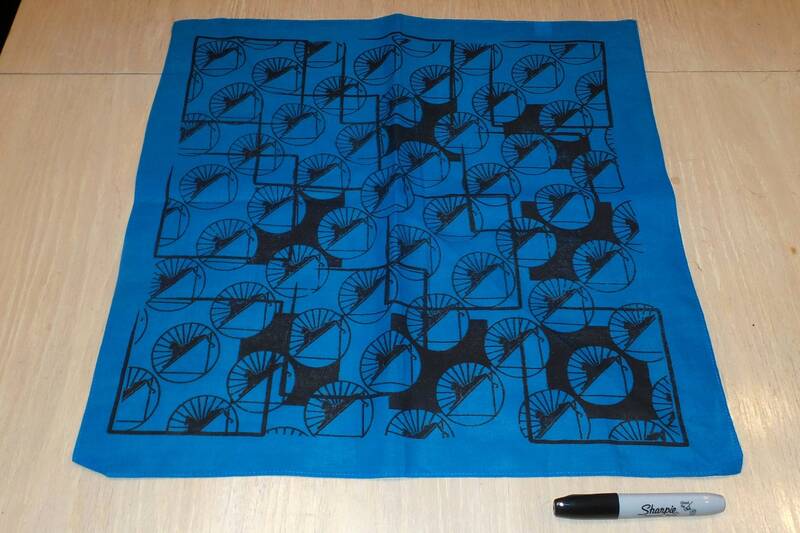 Printed in black ink on a blue bandanna.